With the participation of academic delegations from both institutions, the inaugural colloquium of an innovative new program joining the Moshe Dayan Center for Middle Eastern and African Studies at Tel Aviv University (TAU) and the Mosse/Weinstein Center for Jewish Studies at the University of Wisconsin, Madison (CJS) was held on the TAU campus on November 10, 2014. The five-year collaborative program is the brainchild of TAU Board of Governors member Richard Sincere and his wife, Debra. 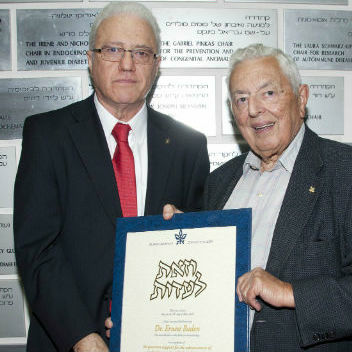 Sincere is an alumnus of both institutions and Secretary of the Board of Directors of American Friends of Tel Aviv University (AFTAU). The program is designed to support academic cooperation, joint conferences and publications, and scholarly exchange programs in the fields of Jewish, Israel and Middle East studies. The specific research focus of the collaborative work will be “The Role of Religion in the Public Sphere – the Contemporary Middle East.” The colloquium’s first round of presentations on the subject by both groups included talks on women in the Arab Spring revolution and the Internet as a platform for public expression. 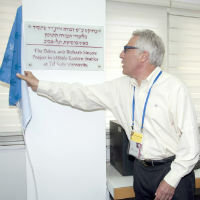 The TAU component of the project, recently inaugurated as the Debra and Richard Sincere Tel Aviv University Project in Middle Eastern Studies, will award generous funding towards scholarships for TAU PhD students. 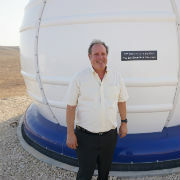 TAU Vice President of Resource and Development Amos Elad emphasized that TAU is proud of its international connections with many top universities, and that the Dayan Center-Wisconsin program promises to produce excellent results.